Georgia serves the team’s needs with professionalism and excellence as she keeps each client’s best interest in mind. Georgia comes to real estate after raising her two children and having enjoyed careers in the travel and retail industries. During her years as a domestic engineer, she gained invaluable leadership skills by volunteering in our community. Georgia is a Past President to the Junior League of St. Petersburg, Past President to the Vinoy Ladies Golf Association, past board member to Great Explorations Children’s Museum and Pinellas Education Foundation. 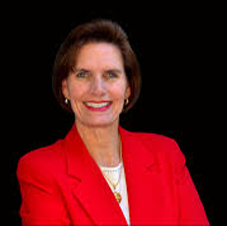 She has also served in leadership roles at Canterbury School of Florida and St. Thomas’ Episcopal Church. She keeps her finger on the pulse by staying involved in our community and keeping up with the real estate trends of our great city. When time allows, she can be found on a golf course enjoying the great outdoors.